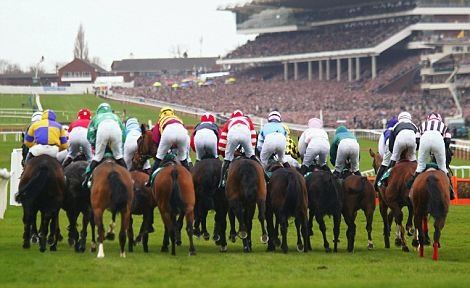 Here we are ladies and gents……the greatest sporting spectacle known to man! God I love this week, the anticipation, the excitement, the performances. Sit back, enjoy, shout and scream!! The race that gets us away is going to be a three way affair in my eyes, with the top three in the market being those. ALTIOR has had a cracking season and has won four on the bounce, including here. 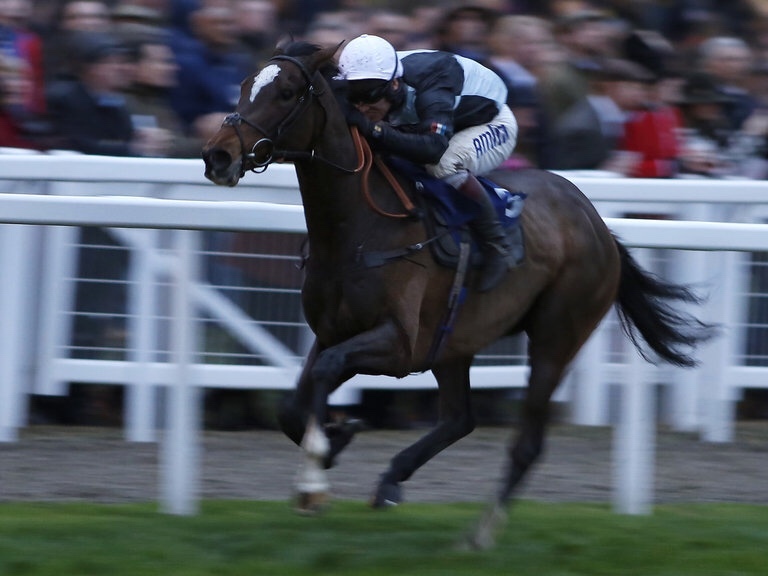 His run at Kempton was solid and the form has been franked a few times. MIN could be another Mullins hotpot and has demolished his rivals this season and is understandably the favourite. BUVEUR D'AIR has likewise run very well this year and been equally impressive. He also has solid bumper form behind BARTERS HILL twice. CHARBEL will go off likety-split and could stay on for a place but I am opting for Mullins/Walsh in what has become a benefit race for them in recent years. Short and sweet. Nothing can or will get close to DOUVAN, hence the number of defectees from the line up. It should be simple! I think of this fella and what a treat he gave me when I napped him for the Pertemps three long years ago! Despite his poor form this year, class is class, and so is course form here. I'm just worried a out his last run at Doncaster. Was his trainer playing the game to get his mark reduced or has he really fell out of love with the game? I hope it's the former! His mark has been reduced by a further 6lbs to a mark of OR153. His lowest mark since he won this race off a mark of OR147. KRUZHLININ is lightly raced and has decent form in the book beating LE REVE last time and the form stacks up a little and he is on an eye carching mark for this race. SOUTHFIELD THEATRE hasn't been himself this year but he has possibly been hitting above his weight. He's back to a winning mark and could be very well handicapped on his second to DON POLI last year. Can ANNIE POWER dominate against the boys and she gets a 6lb allowance too! She has a hell of a chance, but personally I think it will all happen too fast for her! With a run I would be very interested in MY TENT OR YOURS but surely he's been absent too long! I love LIL ROCKERFELLER but I feel his owners have listened to their heart rather than their heads – he would have had more of a chance in a 'lesser' race! TOP NOTCH has a cracking chance based on his second to IDENTITY THIEF in the Fighting Fifth. However, I'm opting for an old head in this. THE NEW ONE has been the down the places in the last couple of festivals but I think this is his year, and his trainer is very upbeat too! With no Annie Power this is more competitive. For me though there is only one selection, POLLY PEACHUM. I have followed this mare since day two when she ran at Warwick. She has ran some amazing races since, including when just pipped in this last year. She is now 6lbs lower in the ratings and has been very steady since last year's defeat. This will be her last ever outing and I hope she goes out with a bang! I think FLUTE BOWL has a hell of an each way chance based on her last run and we shouldn't forget BITOFAPUZZLE despite two poor efforts. PONT ALEXANDRE has been a bit of a forgotten horse. He was 6/4 favourite for the Neptune in 2013. Injury forced a long absence yet to be fair he has had two solid efforts since his return and he could trounce this lot at a great price – he's 10-1 in places when I write this. Of the others I think SOUTHFIELD ROYALE has all the credentials to take this and DEFINITLY RED has caught my eye all year. KATGARY has been a horse I've always thought a lot of and am convinced he needs good ground to get the best out of him. He hasnt run for a while and that has been to wait for the better ground. This is one of my best bets of the week and I hope I've found a big festival winner again!! The ground should have dried out even more by the time he races too!! Lump on!! It was great to see OPENING BATSMAN run back to some form last time I did the blog and a 20-1 second wasn't a bad tip at all! The festival is on the horizon and I'm sure like me you'll all be counting down the sleeps and starting to look at the form. I've got quite a few in the notebook ready to go and hopefully it will be another profitable week. Whatever happens it will, as always, be one hell of a spectacle. The weather appears to be warming up so watch out for those good ground horses at long last getting their ground!! It's been a while coming! I'll hopefully manage to get a blog done every night with a write up for every race! Bring it on! I flagged this mare up last time she ran on here and she did it very well. I think there is a lot more to come from her and she will be one for the festival next year. Dickie Johnson thinks she's the best mare he's ever sat on, a pretty good indictment. She got seriously hindered in this last year but has really come on since then. She will be too good for these despite giving weight all round, her stablemate may be the danger! Normally this race goes to one of the horses who is in the first few in the betting, I cant see that trend changing today. My selection won well last time at Towcester and comes here as an improving type, with only a 3lb rise for the last success. I think there is more to come and interestingly Dickie chooses this one over the stablemate, who he has a good relationship with that one's owners. This must have a better chance. If the ground was better I'd be finding it difficult to split ALCALA and CHIC THEATRE but I dont think they'll be involved with it being this soft. Was a decnt flat horse and got to a mark of OR104 in that sphere. He has slowly but surely started to improve and understand what is required over obstacles. He has two good runs behind him on testing ground and gets in here off a feather weight. He receiving nearly two stones off RAYVIN BLACK and will ground like this and the speed of the race that will count in his favour. The pace should suit his flat speed and I expect to see him burst through towards the end. I don't normally venture to Ireland but this mare went into my notebook on the off chance last year. She is slowly getting what is required and race well, but well behind CASHEARD LADY last time. That one went on to be second behind LIMINI next time who's the hot favourite for one of the mares races at the festival. That is decent form and with the ground being testing again, I'm hoping today is finally the day for her to lose her maiden tag.